This color illustrated Manual is for inspectors, maintenance planners, designers and engineers of fiberglass equipment. It includes standard practices for fiberglass laminate identification, visual imperfections benchmarking, damage mechanisms classification plus selection of integrity and leak testing methods, as well as details for how to become an FRPI certified aboveground fiberglass tank inspector. The manual contains inspection procedures, diagrams, equations and inspection checklists to help guide inspection activities, with subject matter definitions, evidence, causes and discussion supplemented by over 100 photographs. The integrity and leak testing practice provides descriptions, advantages, disadvantages and limitations for over a dozen methods. Standard practices in the Manual establish a minimum level of training and inspector qualification. These practices are facilitated by FRPI and intended to address needs of those employing inspectors plus requirements imposed on inspectors under OSHA Regulation 29 CFR 1910.119 Process Safety Management of Highly Hazardous Chemicals ("PSM") plus EPA Regulation 40 CFR 68 Risk Management Program ("RMP"). Protocols are also included in the practices covering how to arrive at determinations such as laminate erosion and modulus decay rates, remaining useful life, suitability for continued service plus next inspection interval. 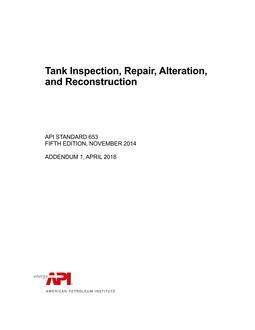 For those interested in becoming an FRPI certified tank inspector or simply participating in FRPI inspection training courses, please note that program participants are individually required to own a Manual copy with their name included in the license stamp on their Manual as a prerequisite for participation. Multi-User discounted pricing is available if more than one (1) person from your company may participate in various programs, simply click on the Manual "Add to Cart" button above to display price points. Also, please see Manual "Purchase Tips" at http://www.frpi.org/ResourceCenterManuals.html. 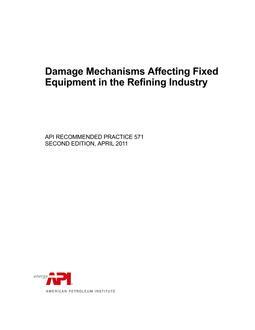 While focused on tanks, this Manual content provides a substantial amount of technical information that applies to inspection of all fiberglass chemical process equipment.